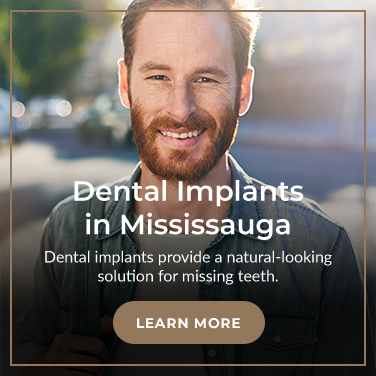 At Kerhoulas Dental in Mississauga our dentists may recommend tooth extraction to remedy badly decayed teeth, abscesses, serious gum disease or simply to prepare for orthodontic treatment. We also offer wisdom teeth extractions at our Mississauga office. At Kerhoulas Dental, we strive to make your treatments as comfortable as possible. We begin by placing a local anaesthetic to the area surrounding your tooth so that you will be numb while your tooth is extracted. During your extraction appointment, our attentive team will explain how you will care for your mouth after the extraction. By following some simple steps, you can prevent any problems following extraction. Eating soft foods like ice cream, pudding, soups, applesauce and smoothies will allow you to heal quicker. You can slowly add solid foods back into your diet – just follow your post-surgical treatment plan. Wisdom teeth are molars that erupt behind your regular molars, often referred to as '3rd Molars'. When is it a smart choice? For most people, wisdom teeth start to come through the gums between the ages of 16 to 25. Most people develop four wisdom teeth, but some people may have fewer. In fact, some people never develop wisdom teeth at all. If our experienced team at Kerhoulas Dental is concerned about your wisdom teeth during your regular check-up, we will take an x-ray to examine their position. Depending on your age and the position of the teeth and whether or not your mouth can accommodate the teeth, we may recommend waiting to observe how your wisdom teeth progress or proceeding with treatment. Your wisdom teeth may be impacted, misaligned and poking or rubbing on your cheeks or tongue, causing irritation. If there is not enough room for them in your mouth, the wisdom teeth can cause crowding and shifting among the rest of your teeth. They can also be very difficult to keep clean because they are so far back in your mouth and may develop decay. If a wisdom tooth is impacted it is growing into your mouth sideways instead of straight. If an impacted wisdom tooth is not removed at the ideal time, it can cause damage to the teeth next to it and potentially trigger significant pain. During a wisdom tooth extraction, a patient is typically under sedation or general anaesthesia. You should not experience any pain during the procedure. As always, your Kerhoulas Dental team will provide a high level of surgical care. During your appointment, our attentive team will explain how you will care for your mouth after the extraction. By following some simple steps, you can prevent any problems after the extraction. In most cases we'll recommend biting on gauze to keep pressure on the extraction point following surgery, regular application of ice to the area and eating soft foods for several days. After your procedure, we recommend eating soft foods like smoothies, apple sauce, ice cream and pudding – just to name a few. As you heal, you can add solid foods back into your diet. If you would like more information on tooth and wisdom teeth extractions, please contact our Mississauga dental team today.